Skye Gravestones | Neil & Mary (MacLean) MacMillan. Neil & Mary (MacLean) MacMillan. 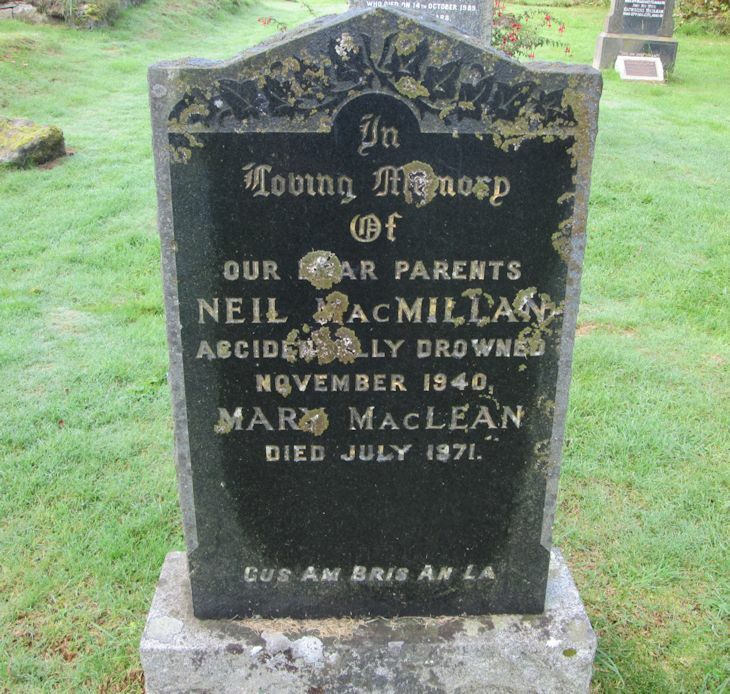 In/loving memory/of/our dear parents/NEIL MacMILLAN/accidentally drowned/November 1940/MARY MacLEAN/died July 1971.